22 March is World Water Day, a time set by the United Nations General Assembly so that each year we may take into consideration the water challenges that humanity faces. Water has often been used in many cultures as a powerful symbol, an element that purifies and that heals. Thus it is a symbol of both action and stillness - the need to find stillness in the midst of action and peace in the midst of creativity. As the US author Henry Miller said, "The waters of the Earth! Next to light, the most mysterious element of creation. Everything passes away in time. The waters abide." Yet water can also be a source of conflicts. 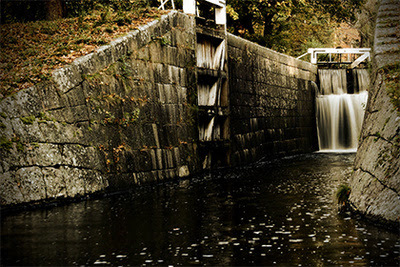 In light of climate changes, the peaceful management of water systems is increasingly urgent. There is a need to create legal frameworks for equitable, peaceful, and sustainable water management. Drought, erosion and advancing desertification can become major problems. In many areas there are shrinking water tables. Water is being pumped and consumed faster than the aquifers can be re-charged through natural mechanisms. One region's water problems can have implications well beyond its borders. Water is linked to issues of climate change, energy, food supplies and prices. Local water issues may worsen, converging into a global water crisis and leading to political insecurity and conflict at various levels. Therefore, a participatory approach to water issues is essential. It is necessary to secure the public commitment to the preservation of eco-systems which assure wise water use. In many cases, the disposal of untreated wastewater and hazardous wastes from industries pose a severe threat to groundwater quality. In light of the many fresh-water management and associated conflict resolution issues, the Association of World Citizens has focused on trans-frontier river systems which have a potential for environmentally-induced conflict: the Nile, the Mekong, the Jordan, the Niger and the river systems that arise from the Himalayan Watershed and the Tibetan Plateau. 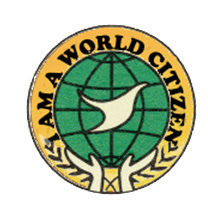 The emphasis of the Association of World Citizens is on cooperation so that common interests are founded and acted upon. World Water Day, 22 March, is a time for reflection and positive action.